How FDEM Can Help you Find a Mine. 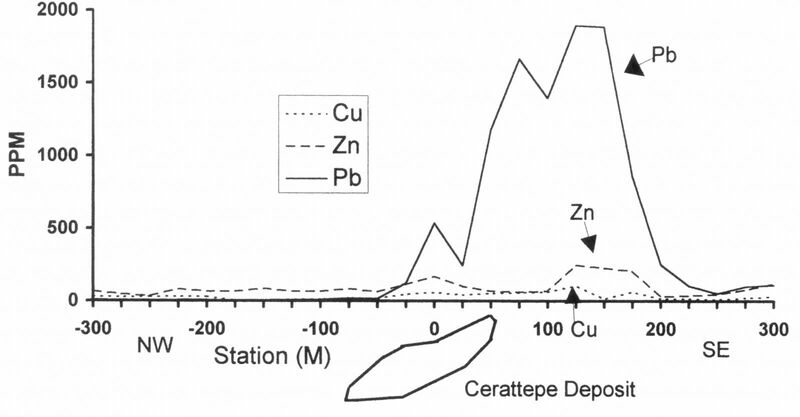 The Cerattepe deposit is a Kuroko type Pb, ZN, Cu VMS deposit located in northeastern Turkey. The deposit was indicated by a Pb, Zn, Cu soil geochemical anomaly. 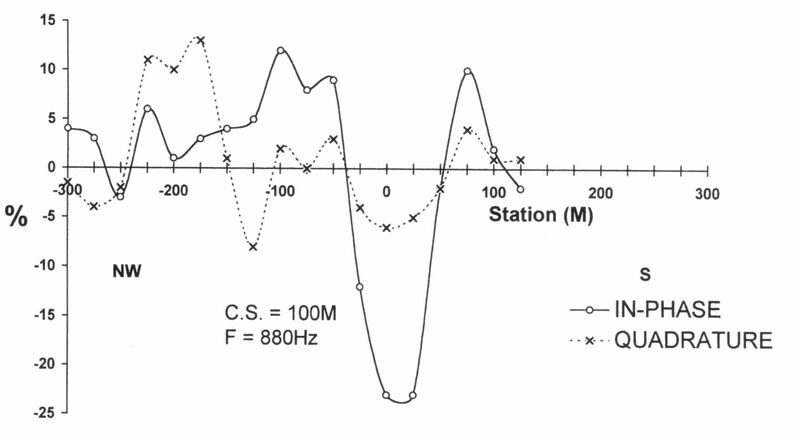 A horizontal loop frequency domain EM survey was conducted over the soil anomaly. The deposit produces a strong anomaly with a high in-phase to Quadrature ratio.